CONTEST: Win an autographed copy of Amon Tobin’s new album! Every Amon Tobin release seems to stretch the boundaries of what is possible in the electronic genre. From his early merging of drum&bass and jazz compositions to his current fascination with minimal and minute sonic details, Tobin always seems to impress. 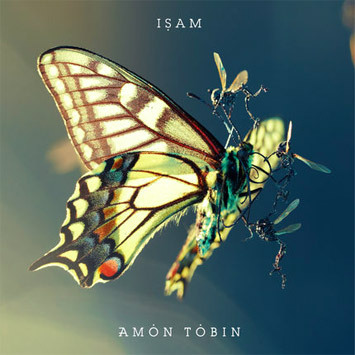 With his new album, ISAM (available on CD/ Deluxe CD/LP), we’re giving you a chance to win a signed copy of the vinyl as well as hear it early. Enter to win below. Listen here with a track by track analysis by Tobin himself. [Read more…] about CONTEST: Win an autographed copy of Amon Tobin’s new album! INSTORE: KYLE FIELD!! TODAY (5/24) at 7pm! We’ve been a Kyle Field fan every sense he bounced around on stage, playing his bass shoeless. Or maybe since his exiting farewell persona, Doorbot, with a robotic voice and stiff limbs wishing departing customers goodbye. 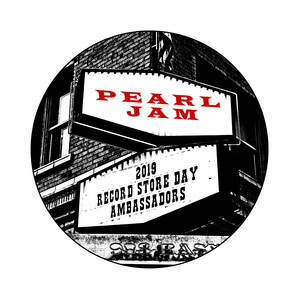 We’re treated with a last minute (seriously, 5pm yesterday) arranged in-store performance with Kyle Field backed up by Zebedee Zaitz of Sparrow’s Gate. Get here at 7pm. Zeb may even float some Dylan covers as well. Rumour is there may be a dress-up 9pm show on Terrance Hill. Springtime fun in SLO should never be missed. 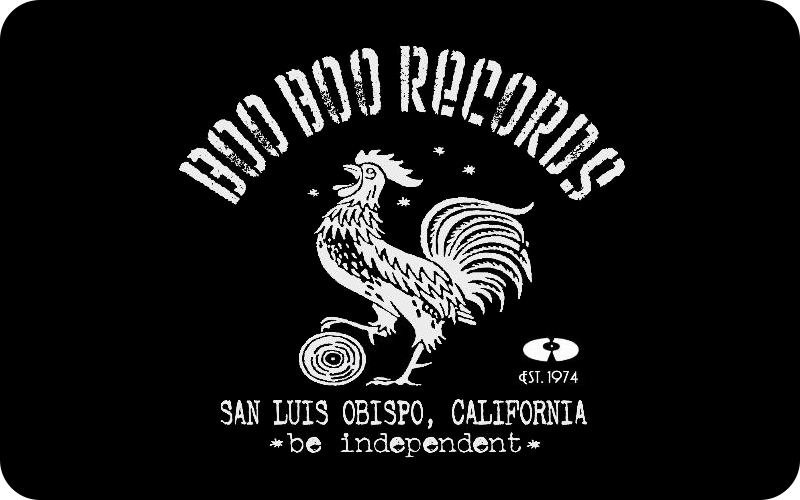 Originally formed in the California seaside town of San Luis Obispo, the music of Little Wings completely imbibes the environment in which it was conceived. With a loosely assembled membership that revolves around Little Wings frontman and songwriter Kyle Field, the band’s debut on Walking Records, Discover Worlds of Wonder, was a dreamy, balladic tribute to the surreal aspects of the contemporary Californian landscape. Filled with slightly off-key tales of skateboarding legends, freeway traffic jams, and the hidden beach canyons of the West Coast, Little Wings’ 1999 debut fused a postmodern Beach Boys ideology with warm alt-country. 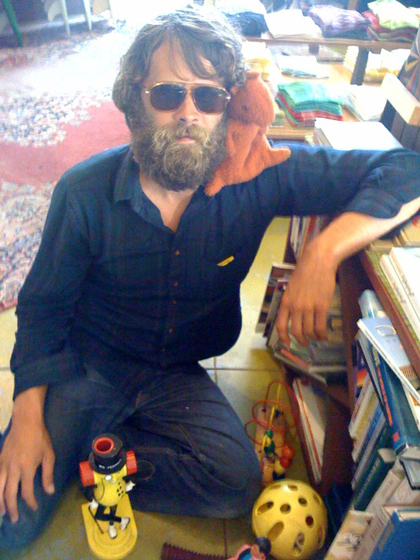 After collaborations with many regional artists, including Jason Lytle of Grandaddy, Kyle Field left his California musical family for the greener pastures of Portland, OR, to let the new chapter of the Little Wings almanac be influenced by the fresh naturalism of the Pacific Northwest and to continue the bands exploration of non-traditional song structures. With their Internet-exclusive sophomore effort, Wonder City, Little Wings added to the their loosely conceptual “Wonder Trilogy” in 2000, featuring the efforts of Kyle Field and Whitney Moon. Wonderue completed the trilogy in 2002; later that year, Light Green Leaves arrived. The following year, Harvest Joy appeared, and Field continued his prolific streak with 2004’s Magic Wand. A year later, K Records released his next album of abstract bursts, titled Grow, and then he moved toward more traditional pastures with the sleepy Soft Pow’r in 2007. Crafting one of the early collaborations of rock and orchestration albums, The Moody Blues continued to capture a mixture of spiritual psychedelic and opulent sounds. Go hear them tomorrow, Wednesday, May 18th in the lush acoustics of the Cal Poly Performing Arts Center. Show starts at 7:30pm. 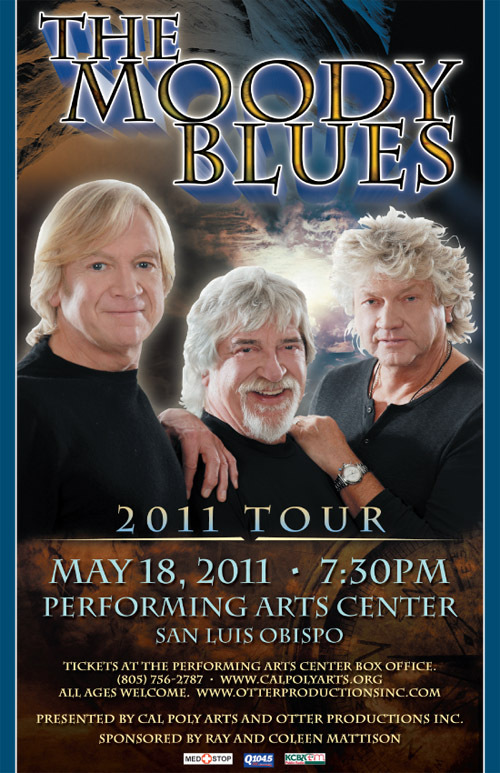 Although they’re best known today for their lush, lyrically and musically profound psychedelic-era albums, the Moody Blues started out as one of the better R&B-based combos of the British Invasion. Their 1967 album Days of Future Passed mix of rock and classical sounds was new, and at first puzzled the record company, which didn’t know how to market it, but eventually the record was issued, first in England and later in America. It became a hit in England, propelled up the charts by the single “Nights in White Satin” (authored and sung by Hayward), which made the Top 20 in the U.K.; in America, the chosen single was another Hayward song, “Tuesday Afternoon.” All of it hooked directly into the aftermath of the Summer of Love, and the LP was — totally accidentally — timed perfectly to fall into the hands of listeners who were looking for an orchestral/psychedelic recording to follow works such as the Beatles’ Sgt. Pepper’s Lonely Hearts Club Band. CONTEST: Lauryn Hill at Santa Barbara Bowl on Saturday, May 14th!! Ms. Lauryn Hill is easily in the top ten of hip-hop MC. She has swayed the line between vocalist, producer and songwriter, and is as comfortable with rap and soul as she is with reggae and R&B. After a hiatus from the public eye (her last album, the two disc MTV Unplugged came out in 2002), Ms. Lauryn Hill has announced dates for her “Moving Target: Extended Intimate Playdate Series.” She will make a stop at the Santa Barbara Bowl on Saturday, May 14th. The Hot 8 Brass Band will be opening, which is another solid reason to not miss this. Buy your tickets now, and get up close and personal with one of the most captivating women in the world. As a bonus, we’re offering one lucky person a chance to win a pair of tickets. Click continue to sign up, although I’d suggest you purchase some tickets now before they sell out! We’ll pick a winner by the end of the week. Good luck!! 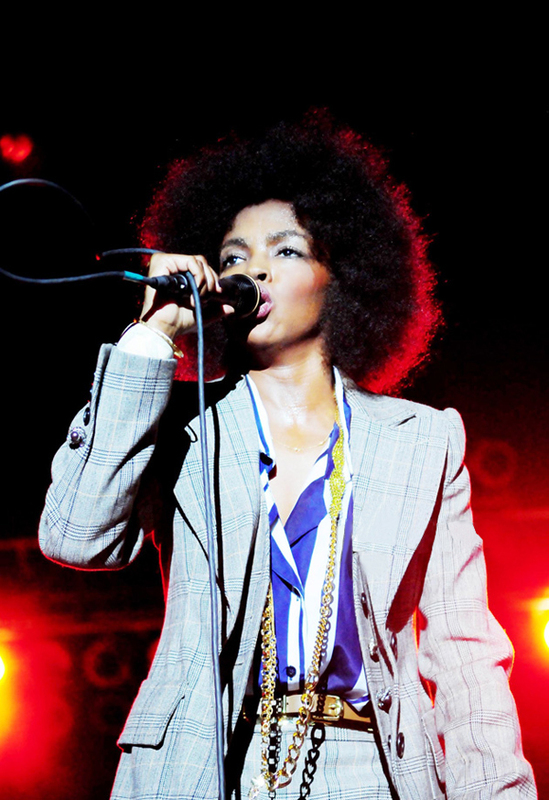 [Read more…] about CONTEST: Lauryn Hill at Santa Barbara Bowl on Saturday, May 14th! !